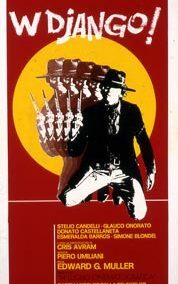 ARRIVANO DJANGO E SARTANA… E’ LA FINE! 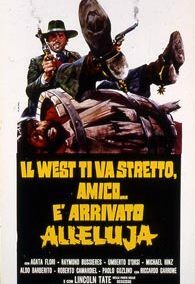 To make sure of a clean getaway, the terrible outlaw Burt Keller kidnaps Jessica Cobb, a young girl, daughter of a rich man, planning to use her as hostage. 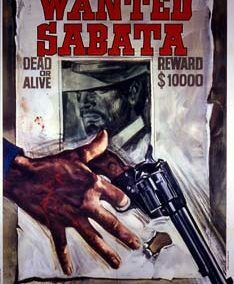 The high reward offered for Burt Keller "Dead or Alive" attracts two bounty killers, Django and Sartana. 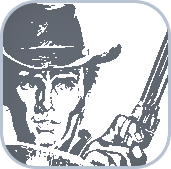 Burt Keller, who has found out that the hunters are on his trail, hires another outlaw, Billy Ross and his men, to protect him. 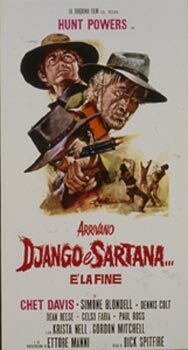 These succeed in capturing Django and Sartana who, however, are equally successful in escaping. They also manage to free Jessica who can return to her thankful family and, having concluded their mission, they ride off without their reward!